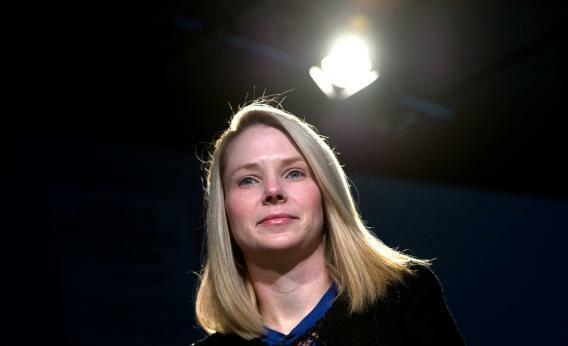 Marissa Mayer says she's not a feminist in PBS Makers documentary. This is not really an argument or anything she has thought about all that much. I haven’t come across a band of dour, militant feminists since 1987, and I’m guessing Mayer hasn’t either. This is really the intellectual equivalent of “Yuck, gross.” But the fact that it’s visceral and not all that sophisticated does not make it any less deeply felt. Mayer in fact speaks at lots of women’s events, but she always resists framing the issues as women’s issues. “I’m not a girl at Google. I’m a geek at Google,” she likes to say. If such a band of smart and successful women have no patience for the term feminism, then the term is, whether we like it or not, getting relegated to history. In launching her new Lean In movement, Sandberg makes nods to the past, giving homage to Betty Friedan and consciousness raising. But in fact she is doing away with Friedan’s vitriol and all the messy spontaneity. The new version is a revolution by PowerPoint, designed for an age when feminism, whatever that means, is synonymous with professional success. As Sandberg writes in her chapter “Don’t Ask Anyone to be Your Mentor:” “Using a mentor’s time to validate feelings may help psychologically, but it’s better to focus on specific problems with real solutions.” Husbands have been saying this to their wives forever: Be positive. Stop complaining. Get to work. Now the women are starting to say it.